Fans were obviously not pleased with all the decisions made by the selectors. 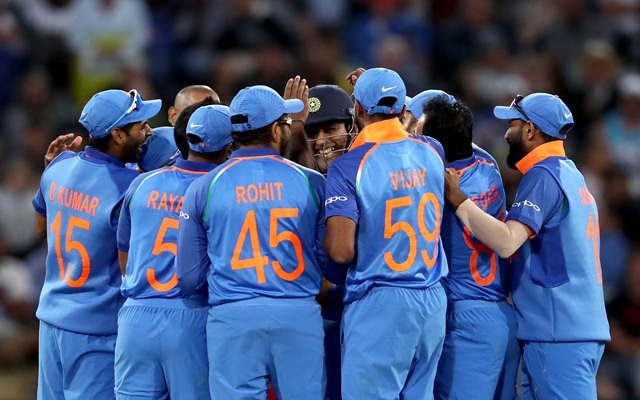 The Indian cricketing fraternity has all of a sudden, been enlightened as the national squad for the upcoming World Cup 2019 was recently announced. The cadre of the country’s best 15 cricketers was selected after a meeting in Mumbai where the Indian skipper Virat Kohli, the selection committee headed by MSK Prasad and BCCI’s Amitabh Chaudhary were present. The team was named on expected lines with a couple of surprise inclusions. The top order responsibilities are in the hands of in-form Shikhar Dhawan, Rohit Sharma, Virat Kohli and KL Rahul who is the back-up opener. Then there are the experienced names in the likes of MS Dhoni, Kedar Jadhav and Dinesh Karthik. Answering the long-standing question for the no.4 slot, MSK Prasad & Co. picked all-rounder Vijay Shankar for the position. Vijay is one of the two seam-bowling all-rounders in the squad along with Hardik Pandya. Ravindra Jadeja and the spin-twin of Kuldeep Yadav and Yuzvendra Chahal form the spin attack. Then there is the pace trio of Mohammed Shami, Jasprit Bumrah and Bhuvaneshwar Kumar who are among the best white ball bowlers around right now. Howbeit, in Indian cricket, nothing happens without controversies. The situation was same this time around as well as the exclusion of some players didn’t go well with the fans. Ambati Rayudu, who was earlier named as the permanent no. 4, was dropped since he couldn’t capitalize on the so many chances offered to him of late. Wicketkeeper-batsman Rishabh Pant also failed to make the cut for the World Cup while DK was picked up as the back-up keeper in the side. The selectors mentioned that it was Karthik’s experience as the finisher, his keeping abilities gave him an edge ahead of the youngster.